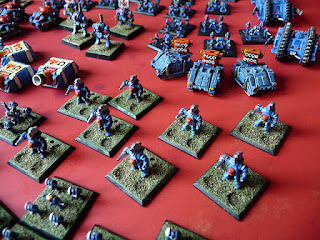 Confessions of a 40k addict: Epic Space Marines part 10. - Ultramarines part 6. The whole shebang! 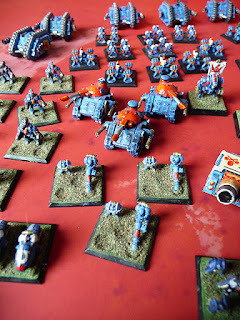 Epic Space Marines part 10. 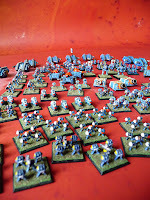 - Ultramarines part 6. 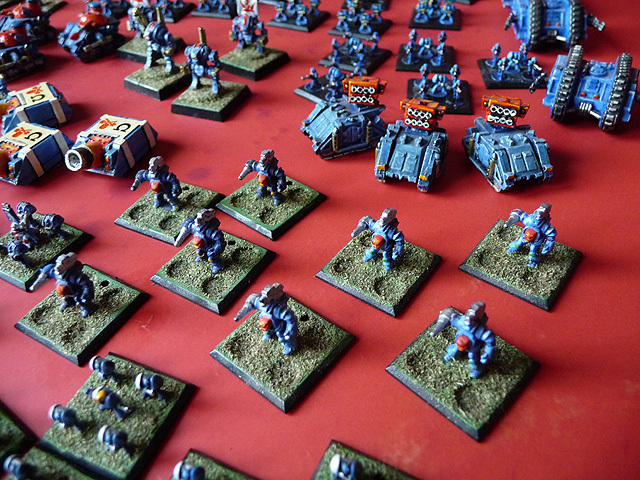 The whole shebang! 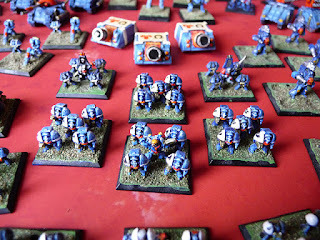 It's been a while and I know you missed them but here's the last of my Epic Ultramarine photos, though couriously I didn't take one with them all in one shot, still there's plenty to drool over if your and Epic fanboy. Assault squad on the left, loving the white shoulder pads on the tac squad in the second row. 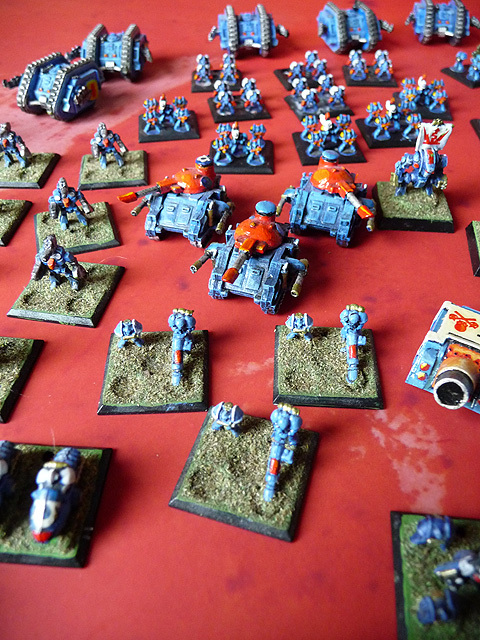 Termies, Chaplain and Medic hold the centre [no doubt backed up by the big guns of the Vindicators]. 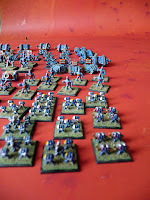 Robots and Whirlwinds support the right flank. 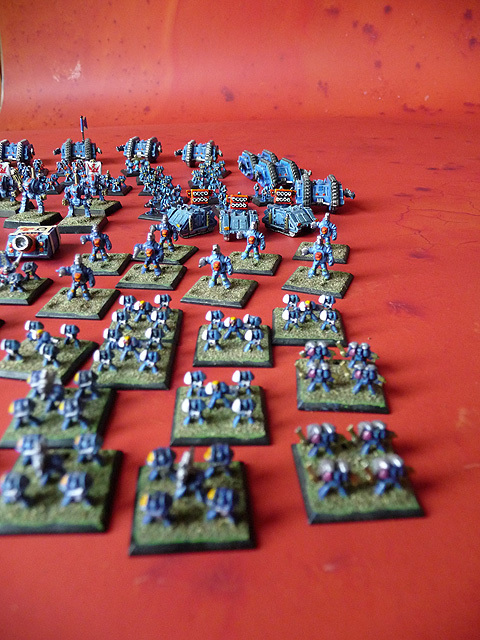 Robots, Predators, Bikes and Mole Mortars support the left flank. 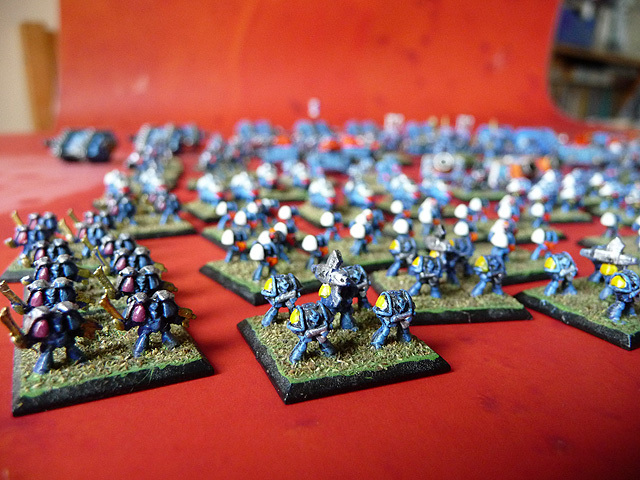 Cheers for sticking with it.﻿ Still some unpainted titans left to come when I get round to photgraphing them.